The UT System Board of Regents has named Vistasp M. Karbhari president of UT Arlington effective June 1. The board unanimously approved the appointment at a special called meeting on Tuesday. Dr. Karbhari was named lone finalist for the position at a Board of Regents meeting last month. He will succeed President James D. Spaniolo, who announced last June his intention to step down from the top post once his successor is in place. Spaniolo has served as UT Arlington president since 2004, and his last day will be May 31. Karbhari currently is the provost and executive vice president for academic affairs at the University of Alabama in Huntsville. Prior to that, he served as professor and vice chairman of the Structural Engineering Department at the University of California-San Diego. 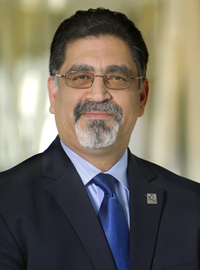 Read more about the new president at UT Arlington. 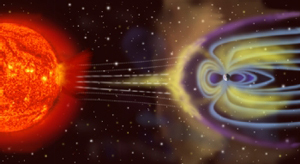 Solar energy: A NASA illustration shows the effect of solar energy output on the earth magnetosphere. Yue Deng, an assistant professor of physics, has been awarded more than $400,000 in NASA funding to develop a 3-D look at how electrodynamic energy from solar winds enters and moves throughout the earth’s upper atmosphere. Dr. Deng aims to help scientists and engineers protect satellites, power distribution systems, and other vital infrastructure from the potentially harmful effects of these inevitable bursts of energy. Deng received a $408,000, three-year award from NASA’s heliophysics division in January. She is co-developer of a new 3-D Global Ionosphere-Thermosphere Model, or GITM. Read more about the NASA grant. Mark Lamster, a heralded arts writer and editor, has been appointed as a UT Arlington architecture professor in practice and as architecture critic for The Dallas Morning News in an innovative position shared by the University and the news organization. 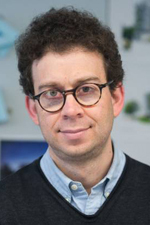 Lamster, a native New Yorker, is associate American editor of Architectural Review and a contributing editor to Design Observer. His work appears regularly in national publications, including The New York Times, the Los Angeles Times, and The Wall Street Journal. In his role as a professor in practice, Lamster will teach an advanced seminar through the School of Architecture and will serve as a research associate with the David Dillon Center for Texas Architecture at UT Arlington. At The Dallas Morning News, he succeeds David Dillon, the news organization’s widely respected architecture critic, who died in 2010. Read more about the new architecture critic. The PeopleSoft open forums have relocated to the Rosebud Theatre in the E.H. Hereford University Center. The first forum is set for 8:30-10 a.m. today, Thursday, March 14, and covers the new Chart of Accounts design structure. This fall, PeopleSoft will become the new University-wide Human Resources and Financial Management system, replacing DEFINE, HRMS, PointPlus, and UTDirect. Pre-training online resources and live open forum sessions will allow users to become more familiar with the new features, functionality, and terminology. Following these introductory sessions, more in-depth and formal group training will be scheduled. Training is anticipated to begin in June. Current users can begin learning about the new system with the online training module. The eight open forum sessions will allow users to hear from PeopleSoft team experts in a live group setting. During the next three months, these experts will present a variety of key topics related to the new system. Each forum will include a question-and-answer session. Users may attend all or only those of particular interest. Open forum sessions will be available online on the PeopleSoft website following each event. A list of upcoming open forum sessions topics, times, and locations is available online. The Alumni Association is accepting nominations for the 2013 Distinguished Alumni Awards. The award is the highest honor an alumna/alumnus can receive from UT Arlington. The award criteria and nomination form are due by Monday, April 1. Awards will be presented at the 2013 Distinguished Alumni Gala on Saturday, Oct. 19. For more information, contact Stephanie Thompson at 2-2594. 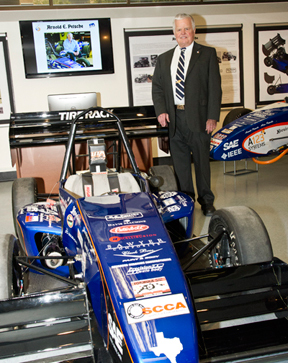 Arnold E. Petsche walked among the University formula racing cars at Friday's grand opening at Woolf Hall of the Center for Automotive Engineering that bears his name. His donation along with the Maverick Match program brings $1 million to the College of Engineering. The UT Arlington Formula Society of Automotive Engineers consists of student volunteers who build race cars for annual competitions. The Maverick baseball team makes its debut at Rangers Ballpark in Arlington when it faces the TCU Horned Frogs at 7 p.m. Tuesday, March 19. Tickets for the game are $6 at utatickets.com or by calling 2-9595. Pay $10 at the gate. Seating is general admission. The baseball team hosts former Southland Conference foe McNeese State for three games Friday-Sunday, March 15-17, at Clay Gould Ballpark. The Mavericks are 9-7 after dropping two of three at Texas Tech last weekend and losing at Arkansas-Little Rock on Tuesday. The UT Arlington Research Institute hosts the Biomedical Technologies Symposium on Friday, March 22. Experts from industry, clinical, and academic settings will address University faculty and students, plus medical practitioners and industry professionals. The event runs 10:30 a.m.-4:15 p.m. and features national and regional speakers, including Col. Robert G. Hale, director of craniomaxillofacial research for the U.S. Army Institute of Surgical Research in San Antonio, and Mario Romero-Ortega, associate professor of bioengineering. Registration is free with a deadline of Friday, March 15. Lunch is provided by UTARI, which is located at 7300 Jack Newell Blvd. South in the Riverbend Business Park in east Fort Worth. For more information, call 2-5900. Critical vulnerabilities have been identified in Oracle Java and Google Chrome. Evernote also has experienced a security incident requiring password resets on its website. To learn about these issues and what to do to resolve them, visit the Information Security Office Advisory website. Understand the art of risk taking and explore the concepts of weighing your risk before you take it. Free. 9-11 a.m., Tuesday, March 19, Room 200, Wetsel Service Center. See a list of HR training classes. Science, technology, engineering, and math (STEM)-focused youth fun and educational summer camps for grades 1-6 and 9-12. Call 2-2581 for faculty and staff rates of $125, $145, or $165 (with the exception of the 2D Video Game Boot Camp). Rates expire May 1. Register your children at Kids and Teens. Continuing Education. 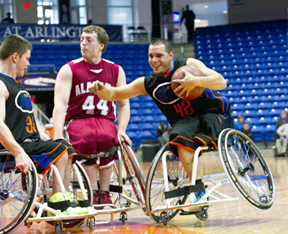 All-American: Jorge Sanchez (42) earned first-team National Wheelchair Basketball Association college division All-American honors last week as the Movin' Mavs finished second in the national tournament. The Movin' Mavs advanced to the finals of the National Wheelchair Basketball Association collegiate division tournament last week, but lost to Alabama 71-52 in the championship game Saturday at Birmingham, Ala.
Coach Doug Garner's squad, which won the regular season title, defeated Auburn 69-21 and Wisconsin-Whitewater 65-53 to reach the finals. They finished 26-7 for the season. Jorge Sanchez earned first-team All-American honors. Andreas Kraft was named to the second team and earned Academic All-American honors. Jan Gans was named to the first-team All-Rookie squad. Seeking to beat Utah State for a third time this season, the men's basketball team begins play in the Western Athletic Conference Tournament at 10:30 p.m. central time today, Thursday, March 14, at Orleans Arena in Las Vegas. The Mavericks, seeded fourth in the tournament, defeated Utah State 74-68 and 61-46 this season. A victory would put them in Friday's semifinals. The championship game is at 10 p.m. Saturday, March 16, and will be televised by ESPNU. The All-WAC team was named this week with UT Arlington's Kevin Butler listed on the third team. Shot putter Bozidar Antunovic finished fifth and heptathlete Romain Martin was eighth at the NCAA Indoor Track and Field Championships last weekend at Fayetteville, Ark. Both earned first-team All-American honors while sprinter Clayton Vaughn was named to the second team. Vaughn just missed qualifying for the finals in the 60-meter dash. The men's and women's track teams open the outdoor season Friday, March 15, at the TCU Invitational. The women's basketball team lost 76-63 to New Mexico State in the first round of the Western Athletic Conference Tournament on Tuesday, ending their season. After winning four of five games at the Jeannine McHenry McHaney Memorial Classic last weekend in Lubbock, the softball team competes in the San Diego Classic Thursday-Sunday March 14-17. The Mavericks are 12-8 and return home to meet Baylor at 5 p.m. Wednesday, March 20, at Allan Saxe Field. The men's tennis team improved its record to 5-5 with victories over Sacramento State and UC Davis before losing to Pacific during a west-coast trip last weekend. The Mavericks travel to Wichita State on Saturday, March 16, before hosting UT Dallas at 3 p.m. Wednesday, March 20, at the UTA Tennis Center. The women's team is 1-6 and hosts Columbia at 1 p.m. Monday, March 18. The golf team finished sixth among 14 teams in the San Diego Classic on Tuesday at Chula Vista, Calif. The Mavericks will compete in the Border Olympics at Laredo Friday-Saturday, March 15-16. 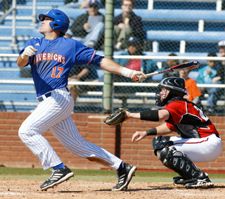 Baseball Mavericks vs. McNeese State. Tickets $6. 6:30 p.m., Clay Gould Ballpark. Also, 2 p.m. Saturday, March 16, and 1 p.m. Sunday, March 17. Athletics. FIRST Tech Challenge Southwest Championship Watch head-to-head robotic competition by teams of up to 10 high school students. Maverick Activities Center. FIRST Tech Challenge, Engineering. Women's Tennis Mavericks vs. Columbia. Free. 1 p.m., UTA Tennis Center. Athletics. A Night in Mesoamerica The Nicolas Miranda composition recital features the world premiere of Suite Mesoamericana for cello and piano. Free. 7:30 p.m., Irons Recital Hall, Fine Arts Building. Music. Baseball Mavericks vs. TCU. Tickets $6 in advance; $10 at the gate. 7 p.m., Rangers Ballpark in Arlington. Athletics. Music Honors Recital Features performances by music faculty members and outstanding students in solo and chamber music settings. Free. 7:30 p.m., Irons Recital Hall, Fine Arts Building. Music. Women's History Month Becky White, clinical assistant professor of medicine at the University of North Carolina, presents "The Impact of Incarceration on Women and HIV." Free. Noon-1 p.m., Wednesday, March 20, sixth floor parlor, Central Library. Women's and Gender Studies, Women in Leadership, Multicultural Affairs. College of Business Executive Dinner John Goff, a Fort Worth-based real estate investor, is the keynote speaker for the annual event, which is part of Business Week. Tickets $35-$45. 7 p.m., Wednesday, March 20, Bluebonnet Ballroom, E.H. Hereford University. Business. ACES Symposium Ashanti Johnson, executive director of the Institute for Broadening Participation, is the keynote speaker for the symposium, which showcases undergraduate and graduate students' research and creativity. Free. 8 a.m.-6 p.m., Wednesday, March 27, E.H. Hereford University Center. Annual Celebration of Excellence by Students (ACES). Maverick Speakers Series Conservationist Jeff Corwin speaks on "100 Heartbeats: A Global Movement," 7:30 p.m. Wednesday, March 27, College Park Center. Also Aaron Neville and Ellis Marsalis, "A Night with New Orleans Music Legends," 7:30 p.m. Tuesday, April 2, College Park Center. Free, but tickets required. Premium reserved seating $25. Maverick Speakers Series. Ben and Trudy Termini Distinguished Anthropologist Lecture Wenda Trevathan, professor emerita in the Department of Anthropology at New Mexico State University, presents "Redefining the Normal in Women's Health: The View from Evolutionary Medicine." Free. 7 p.m., Thursday, March 28, Room 204, Architecture Building. Anthropology. Glass Art Show and Sale Intricately crafted works of glass art go on sale to the public. 9 a.m.-5 p.m., silent auction 9 a.m.-1 p.m., Friday, March 29, Studio Arts Center, 810 S. Davis. Glass Art, Art and Art History. Exhibit: Kim Cadmus Owens/Allison V. Smith Dallas-based artists Kim Cadmus Owens and Allison V. Smith portray vividly colored landscapes in paintings, drawings, prints, and photographs. Free. Gallery hours 10 a.m.-5 p.m. Mondays-Fridays and noon-5 p.m. Saturdays. Through Saturday, March 30. The Gallery at UTA, Fine Arts Building. Self-congratulatory Nonsense A solo installation by Joshua Elliott. Gallery hours 11 a.m.-3 p.m. Tuesdays, Wednesdays, Saturdays; 4-8 p.m. Thursdays-Fridays. Through Saturday, March 30. Gallery 76102, Fort Worth Center. Planetarium Take an adventure along the spectrum and discover the world of color in Cosmic Colors. 1 p.m. Saturdays. Planetarium.